Ensure your magnetic inspection bench fits every part you test with this line of fixed magnetizing coils by outfitting your wet bench to match your range of parts, and optimize magnetic field application. Whether you are testing a large pieces or small bolts, these heavy-duty magnetic coils will help you set-up your Magnaflux machine just the way you need. Optional add-on coils for A-Series, D-Series or MD-Series magnetic benches. 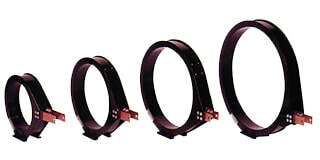 5-turn coils in sizes that conform to most customer parts for optimal magnetic field applications. 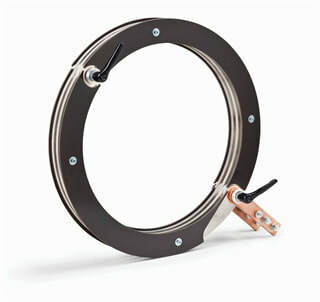 Three-turn split coil that allows for examination of large parts. Diameter: 19.7 in / 50 cm.